Since Blockchain Charity Foundation (BCF), or Binance Charity, was formed in July 2018, we have been working on developing a new model of combining blockchain technology with traditional charity. The last-mile solution has always been very difficult in charity. We are proud that our team has been working on the ground to figure out the solution at the request of the local community. However, this is not an easy process, and we acknowledge that there is room for us to improve. We are continuously working on this new model through our tangible experiences on pilot projects, since launching the first iteration of the BCF platform. We also want to encourage the whole industry to join us in this movement to support the bottom billion population. We always welcome and encourage feedback, suggestions, and even criticism from the public. Responding to our community’s voices is BCF’s highest priority and part of our main principle of adhering to transparency. We would like to share some common questions that we have received to openly address them. 1. Why is it necessary to open cryptocurrency accounts for end beneficiaries? The reason that the funds go directly to end beneficiaries is to increase transparency and restrict the abuse of funds by any third parties when dealing with charity projects. Additionally, the participation of the end beneficiaries enhances the awareness of their important roles in this process and transaction. We hope the direct access to technology will have a long-term positive impact and can be a portal for more financial inclusion. 2. What is the “Adjustment from BCF” on the transaction records? The funds were supposed to go to the L-Istrina Campaign but were mistakenly sent to another internal wallet. We sent the funds back to the BCF wallet immediately. You can find the sent-back transaction named “Adjustment from BCF” in our donation record with the amount 15313.94 BNB on 19:08:31, Dec. 24th, 2018. The funds transferred have no impact on the total donation amount shown on the website. 3. How do I know when my donation is distributed to the intended recipients? Donation allocation will depend on the progress of our projects so there will be some delay between your donation and distribution to end beneficiaries. 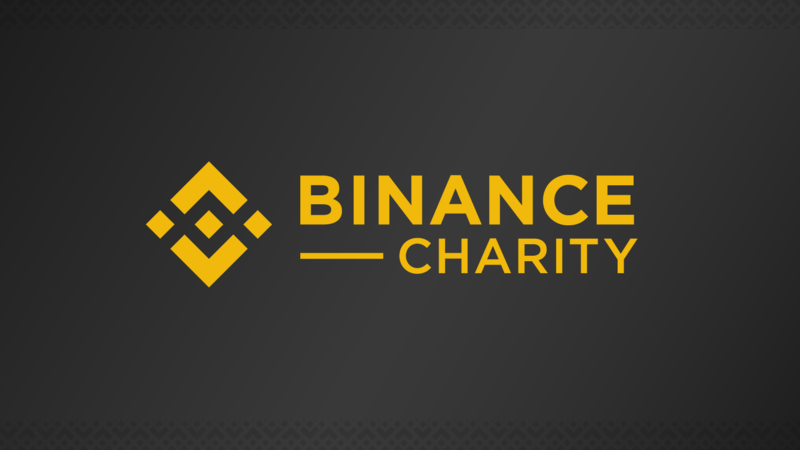 If you donate to our main wallet (Binance Charity Wallet), it means you give us the discretion to choose which charitable projects your donation will be used. When there is a need for funding, we will transfer the funds in the main wallet to the project wallet for further allocation to end beneficiaries. For example, the lunch donations are allocated each semester, therefore we may only transfer one semester's donation to the project wallet with the rest of the funding still sitting in the main wallet. 4. How does BCF identify end beneficiaries and protect their identities? Within the jurisdictions we serve, we will authorize our local NGO partners to conduct due diligence. They collect the personal identification information from all the end beneficiaries, complete a strongly-governed KYC process and ensure the appropriate person is receiving the donation. We put the end beneficiaries’ desensitized information online for tracking and monitoring purposes while keeping their sensitive data safe. 5. Is it true that Binance will donate all of its listing fees to BCF? As Binance CEO Changpeng “CZ” Zhao announced in October 2018, all of Binance’s listing fees will be donated to BCF and can be tracked on our website. The listing fee, or more appropriately a donation, and its usage will also be open to the public on Binance’s website whenever there is a new listing. 6. How much are BCF’s operational costs? BCF does not take a single penny from donations to its campaigns. All donations go directly to end beneficiaries and the entire donation process, including 8 to 10% of operational fees that are charged by local NGOs who help BCF facilitate the distribution and monitor the projects. The salaries of the entire BCF staff, team travel expenditures, and costs to operate the donation system are covered by Binance. 7. Does donating to BCF increase the probability of a company’s token listing on Binance? Charitable donations are strictly independent of any other commercial activities. Donating to BCF will not increase the probability of listing. Binance will continue to use the same high standard for the listing review process. A donation does not guarantee or in any way influence the outcome of the listing review process. Rather, donating to charity is an implication of corporate social responsibility. 8. Why is the number of end beneficiaries different from the number of crypto recipients? 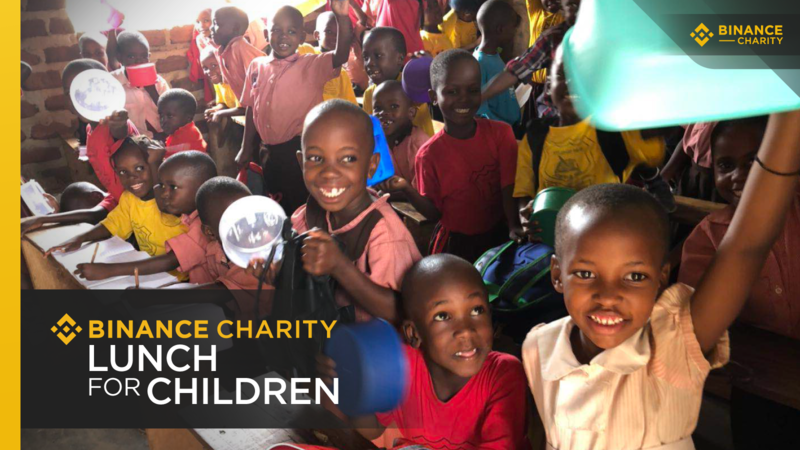 For instance, for the Binance Lunch for Children project at the Jolly Mercy Learning Center, we used the Binance exchange for donation allocation. Since students cannot open accounts on Binance, we delegate their account to their parents/guardians. We are optimizing the process and plan to use decentralized wallets for future projects so that the number of crypto recipients will be consistent with the number of end beneficiaries. 9. How many schools are you supporting through the Binance Lunch for Children program right now? Is it 10 on the press release or 5 shown on your website? We have started providing meals to 6 schools by the end of March, including our pilot school Jolly Mercy Learning Centre. The other 5 schools yet to be shown on our website (located in Jinja) are preparing their kitchens for the program, and lunch will be served in those schools starting next semester (27th May). We will publish the names of the other 5 schools on our website in May. 10. The website only shows 60K USD raised for the projects listed under Lunch for Children, but the total budget is 236,061 USD. Does Binance have the donations secured? We have secured the funds in our main wallet. For donations that go directly to our main wallet, we will decide which charity projects will get certain funds from that wallet. We’ll allocate the outstanding funds for Lunch for Children project from the main account when needed. 11. Does BCF support the school on anything aside from food? For our pilot project at Jolly Mercy Learning Centre, only food is provided to the students and staff. However, we are starting to identify other needs when we expand to more schools and will add the needs to the list in our future endeavours. 12. Who owns the crypto wallet? The children or their parents? How do you make sure those people receiving crypto donations know how to use it and understand the risks involved? The crypto accounts are opened under the name of the children. However, it is a fact that children don't have full capability to use these wallets. In this case, we educate the parents who facilitate money transfers on behalf of their children. We provide instructions to the executing NGO who work face to face with the end beneficiaries and their guardians to make sure that everyone understands the concept of cryptocurrency, potential risks, and how to use their crypto wallets. The NGO will also make sure the vetted suppliers understand the risks of cryptocurrency as they are the final recipients of crypto in the project. Apart from upfront education, we also make our team available for any queries from the ground and we are exploring ways to make the education more efficient and effective. We believe education is a continuous process. If we are to provide access to this advanced technology to the bottom billions, we will have to go through this process and allow them to gradually adopt the new concept. 13. Why is the amount of donation allocated to end beneficiaries different from the amount of distribution to suppliers? There is a gas fee (transaction fee on the blockchain) from end beneficiaries to suppliers so we transfer to the end beneficiaries a little more than what they pay for the suppliers. 14. It seems that the end beneficiaries of the new schools only received 0.001ETH of donation? There are two transfers to each end beneficiary, one in ETH and the other in BNB. The amount in ETH is to cover the gas fee of the transfer from end beneficiaries to suppliers. The amount in BNB is to cover their lunches. 15. Are there any issues that BCF haven't sorted out a solution for yet? Blockchain-powered charity is still at its infant stage. As the pioneer that starts exploration, we are ‘crossing the river by touching the stone’ and solving problems along the way. For example, the majority of the end beneficiaries cannot get access to crypto easily as they don't have smartphones. It’s still a tough challenge to educate the under-educated people and make sure they fully understand the use of crypto. No project is perfect from the beginning. BCF still has room for improvement. We are constantly seeking feedback and advice from the public. We believe a better blockchain charity community is built by every crypto user. For more questions and answers, please visit the FAQ part at the bottom of our intro page: https://www.binance.charity/about.